The history of the Department can be traced back to as early as 1968 when Chemistry was taught as a subsidiary subject of Home Science. 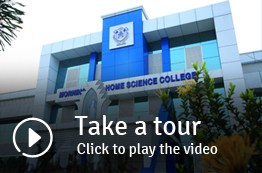 It became a full-fledged department with the launching of B.Sc. Chemistry in 1998.The first faculty of the department was Sr.Lourdes C.S.N., who retired in 1995 as the Principal of the institution. The Department has produced several university ranks and a number of distinctions and first classes. M.Sc. in Chemistry was started in 2013. The department has a well-equipped laboratory to cope with the present needs of higher education and a departmental library. The alumni of the department are active and vibrant. 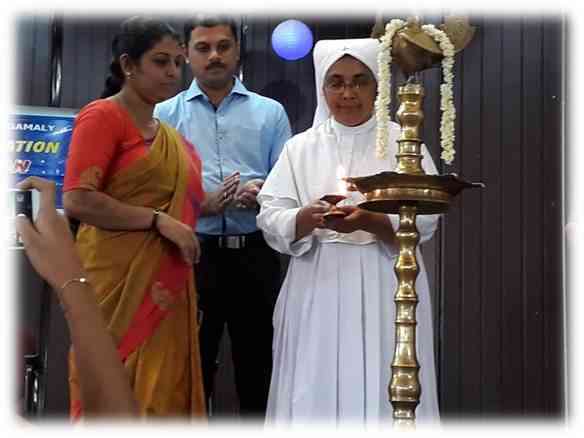 Chethana, an endowment programme for the mothers of our students, started in 1995 to remember the services of Sr. Lourdes, former Principal and HOD of Chemistry is organized by the department. Sr. Lourdes Endowment Prize to be given to the II year student who scores the highest marks in subsidiary Chemistry. Scholarship prize instituted by the management to the student who scores the highest marks in III year University Examination. Award instituted by the department to the Best Outgoing Student. 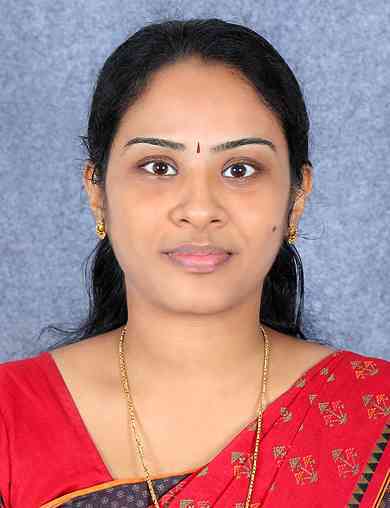 Prize instituted by Prof. Lalitha A.V., former Head of the Department of Chemistry, to the student who passes out with highest marks in B.Sc. 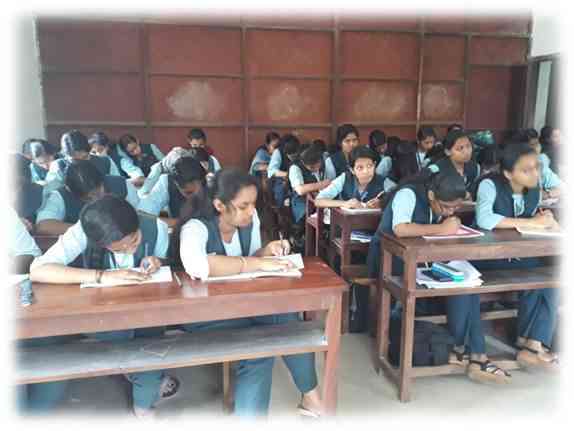 Chemistry examination. Prize instituted by Prof. Salomy Joseph, Department of Chemistry, to the student who passes out with highest marks in M.Sc. Chemistry univeristy examination. Prize instituted by Prof. Lisue Xavier, Department of Chemistry, to the student in III year B.Sc.who scores highest total for vocational subjects in the university examination. 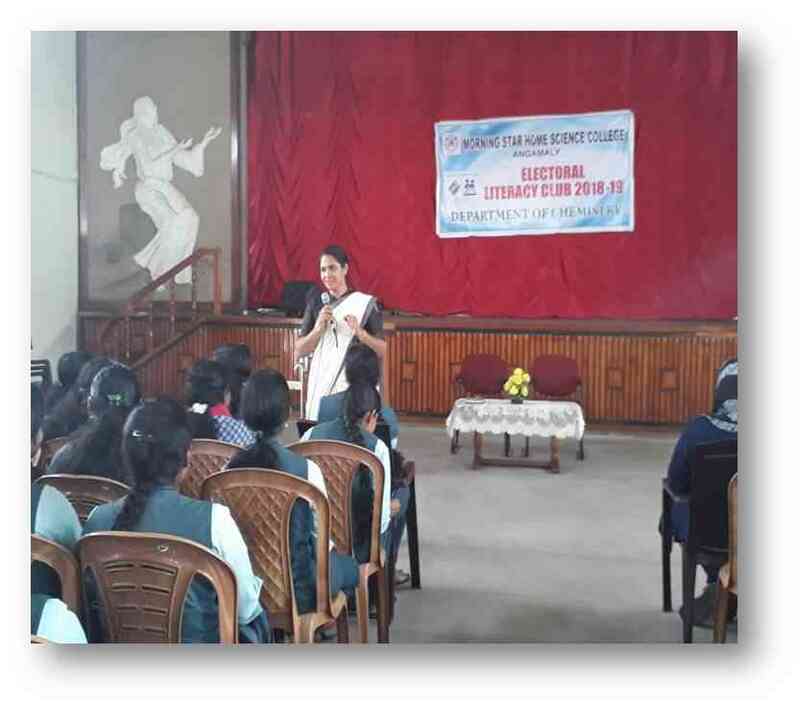 Dr. Sr. Rosily A.V M.Sc. B.Ed., M.Phil, Ph.D.
Dr. Sindhu K. S. M. Sc, B. Ed., P. hD, NET. Dr. Beena George M.Sc, M.Phil., B.Ed., Ph.D.
Milky Expo 2018 was conducted by Department of Chemistry on 10th October 2018 with the co-operation of students of open course (Diary science) and first year chemistry students held the sale of bathing soaps made by the department. The department also conducted exhibitions for the milk products and the best product was awarded. 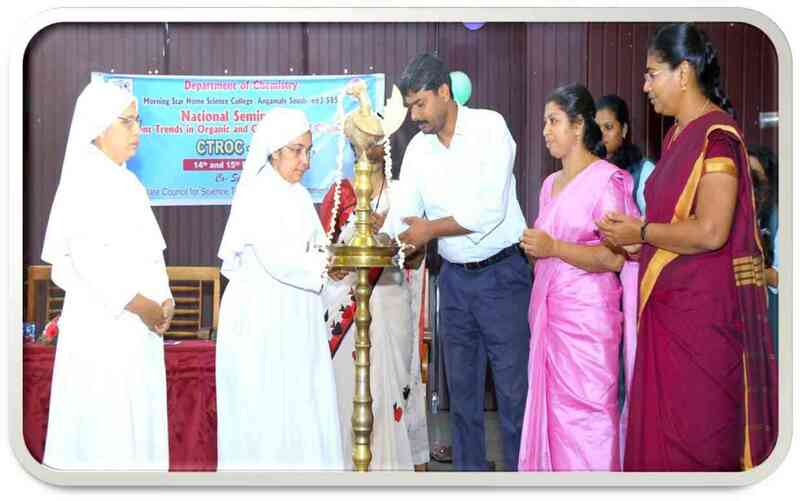 Chemistry Association was inaugurated on 29th September 2018 by Dr. SreejithSankar P, Ramanujan Fellow and assistant Professor, A CSIR, Photosciences and Phonics Section (CSIR NIIST) Trivandrum. It was followed by a talk on Adventures and tales in chemistry dare to dream. The senior students welcomed the new comers day on 18th July 2018 to the Chemistry family in an innovative manner with great enthusiasm and love. 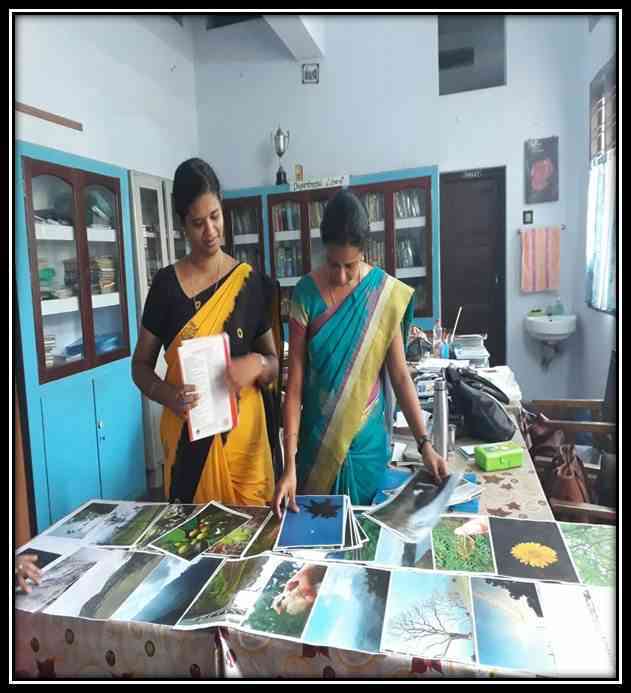 Department conducted a photography competition on the topic BE NICE as a part of World Photography Day. 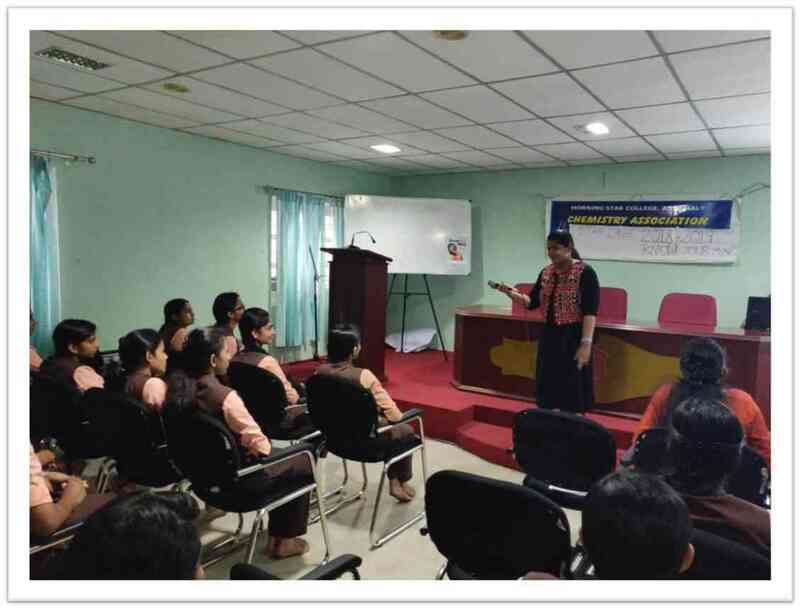 A Tour programme was conducted for the third year students on 18th December 2018 to Mysore. Onam was celebrated in all its splendour and joy by the students. The Christmas celebration was held on 21 December 2018 in the department. 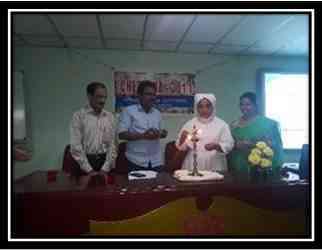 Electoral Literacy Club was inaugurated by Smt. C. P Maya, Dy. Tahasildar, Aluva on 30-10-18. The aim of Electoral Literacy Club is to strengthen the culture of electoral participation among young and future voters. The inaugural session was followed by a talk on electoral literacy by Mr. C. A Rashimon, Dy. Tahasildar, Aluva.